“Why do all the men wear moustaches?” asked Bond, ignoring Drax’s question. Again he had the impression that his question had nettled the other man. Moonraker, the third Bond novel, was an odd read. The book has scenes that are very similar to Casino Royale, i.e Bond being pitched against a villain who cheats at cards. 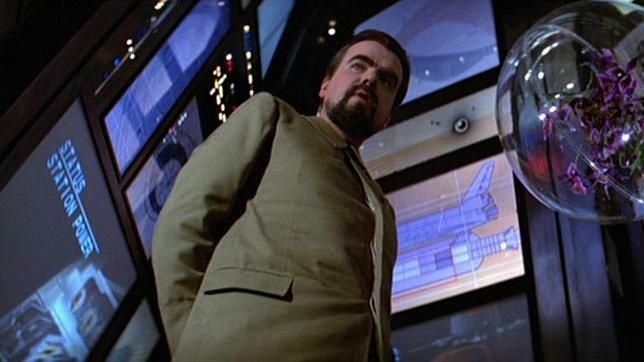 Yet, Bond seems to be a rather different character in Moonraker. He’s not the condescending rake of the first two books, but comes across as quite the normal human being in this one – he has to do chores and paperwork and, like many of us, Bond doesn’t like Mondays. Of course, as in the previous books, part of the plot also has Bond in pursuit of the girl – in this case a smart, confident agent by the name of Gala Brand, who is one of my favourite female characters so far – not hard if we consider how little character Fleming has given to the ones in the first two books. What is strange as well, is that while Fleming spent more time fleshing out Bond and Gala in this one, he spent much less time on the villain of the piece – Sir Hugo Drax, who, by the way, looks nothing like his film counterpart. Drax is a mere cliche, a comic book villain, a re-hash of the stereotypical Nazi surviving WW2 and trying to fight on.. I can see that this might still have been an exciting idea in 1955, when the book was written, I really can. However, I’ve really grown tired of this plot line – so when this background was revealed in the book I was disappointed. I guess, one of my favourite aspects of the Bond books are the colourful villains. So, when the villain is a mere two dimensional character, my enjoyment of the book suffers because of it – and, as I dislike Bond, more page-time for Bond doesn’t make up for that failure. What was kind of interesting, was that Fleming based Drax’s background story on a real event – there really was an attempt by the SS to breach Allied lines by dressing up in Allied uniforms. However, it is unlikely that Fleming intended for any historical facts to spoil a good story, so he doesn’t go into a lot of detail (and of course leaves out that the same tactic was employed by all parties). Which brings me to my biggest gripe about the book: Fleming’s shoddy research. I had a good discussion with my reading buddy, Troy, about this very issue and I guess we dissected the life out is trying to find an explanation for Fleming’s odd use of military address. All I can say is that, to my mind Fleming messed up. Big time. While there are officers ranks in the US and British army that hold the title Captain, this is does not translate into German as “Kapitän” – at all. Nowhere near. Not possible. The only time the address of “Kapitän” would apply is with respect to a naval officer. Also, Drax’s real name doesn’t work. It seems grammatically erroneous to me, but I’m happy to be disproved on that point. It is unlikely that his name would be “von der Drache”. It should be something like “von Drache” but the article “der” does not correspond with “Drache” in this case. Anyway, rant over. This was not the best Bond novel ever, but not the worst either and probably quite enjoyable if you’re into pulp fiction, comic books, or card games. What is certainly was not, was a space adventure. The book’s plot once again had nothing to do with the film, but how could it when it was written before the space age really began? So, less “Bond in Spaaace” and more “Bond in a ventilator shaft” or “Bond for Die Hard Fans” or “Bond and Gala discuss the Ethics of Flower Picking”. Yeah, it doesn’t have the same ring to it. She smiled back at him, grateful that the silence had been broken. “What were they,” she asked.